It's important for Conway drivers to know battery basics. First, let's talk about which is harder on a battery – hot or cold Arkansas weather. Most Conway area drivers think it's cold weather because that's when we call on our batteries to have enough power to start a cold vehicle engine. However, heat does more damage to a battery than cold. Truth is, our batteries start to die a little from day one. Keeping a full charge slows the process, which is hard with short Conway trips because the alternator doesn't have time to fully recharge the battery from starting the engine. Conway drivers can top off the charge with a computer controlled battery charger – say, once a month in the summer and every three months during the winter. As far as how long a battery will last, statistics show that 70% have given up the ghost within four years. By that time, they aren't capable of taking a full charge like they used to, and your vehicle alternator has to work overtime to keep up. This causes your alternator to wear out early. 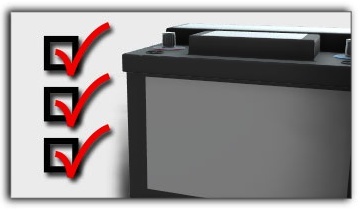 If you're pushing 4 to 5 years on your battery, see your friendly and knowledgeable Hines Service Center service assistant for a battery test to see if it's recommended to replace it. Not only can you avoid getting stranded with a dead battery on a Arkansas road, but you'll save unnecessary wear and tear on your vehicle alternator.